The mission is simple: deliver cutting-edge aerial solutions. Osprey Assessments provides the flight and image collection capabilities for safe and efficient project execution. The following video and thermographic inspections can detect problem areas that need repair, or locate temperature variations and anomalies that may indicate energy leaks, structural integrity or other potential problems. Collect aerial point clouds for 3D structure modeling, topographical surveys, mapping and as-is built documentation. 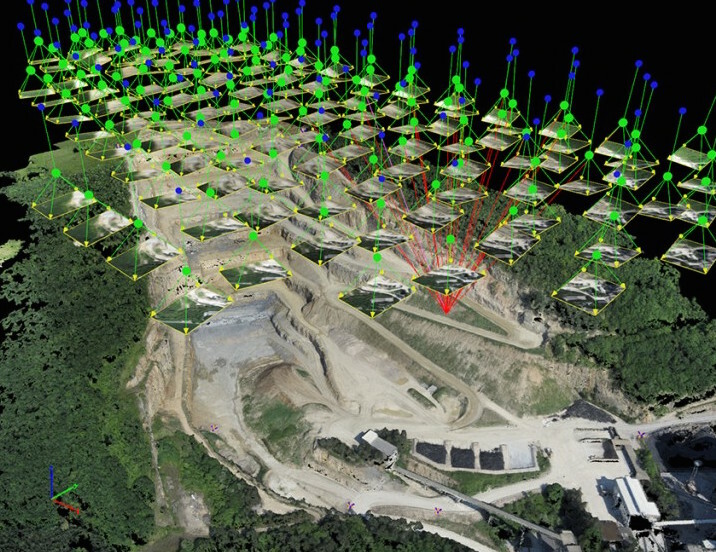 Acquire aerial data to quickly and accurately measure the volume of stock piles, quarries or any land based structure.